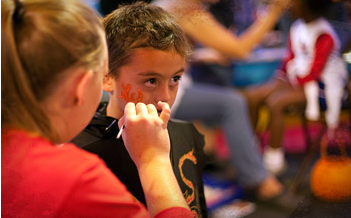 Light the Night is a big 10-acre party with tons of fun attractions, good food and live music. 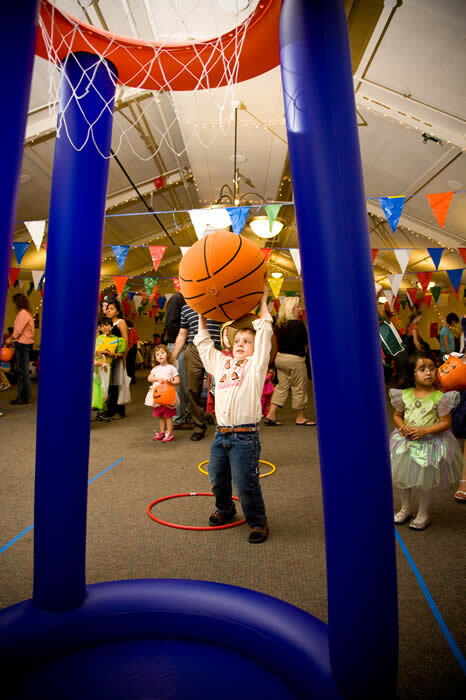 Join Calvary Chruch for fun at game booths, a cake walk, inflatables, live entertainment, food, a puppet show and a special carnival area just for preschoolers and kindergartners. The specific intent of Light the Night on October 31 each year is to provide a safe alternative to Trick or Treating and other Halloween activities. This event is FREE to the public (except for food sales that are nominal). Light the Night is fun and safe for the whole family! The main attractions include inflatables like the Tropical Xtreme Obstacle, Rock Wall, Gladiator Joust, Jacob’s Ladder. There are carnival style game booths where kids can win candy, a special addition for this year is the Trackless Train that will be giving out rides across our campus all night! We look forward to this event every Halloween, we feel safe, the girls get plenty of candy and it’s always fun. I really love the special area set aside in the Fellowship hall for those who are in Kindergarten and younger (but big brothers and sisters are welcome). “Lil’ Light The Night” is filled with age appropriate games, activities, bouncers and a cupcake walk where everyone wins. Directly outside the Fellowship Hall will be the Photo Spot (complimentary family pictures that get posted to their website and available for you to download) to remember your evening. They even have pumpkins you can take home. Don’t worry about dinner, some of Orange County’s amazing gourmet food trucks will be rolling in and serving up incredible food. There will also be coffee, other beverages and snacks available at The Corner Bookstore & Espresso Cafe located in the South Lot. This event is amazing and I am always in awe of Calvary Church and the free events they offer to the community. Light the Night Starts at 5:30 p.m.
Calvary is located at the 5 and 55 in the heart of Orange County.